The Bob Brown Foundation is proud to announce that Jill Redwood is our 2015 Environmentalist of the Year. "Jill has put up with threats, intimidation and even the killing of her livestock, to bravely speak up for the forests. She has had a huge hand in greening the map of Victoria, including a pivotal court ruling against logging at Brown Mountain, and in protecting the habitat of endangered species like the long-nosed potoroo, glossy black cockatoo and Leadbeater's possum. This year Environment East Gippsland won a reprieve for 2000 hectares of forest habitat for three species of owls. Besides her remarkable knowledge of the issues, Jill is a champion of organic food production, has a great sense of humour and is a fine role model for young Australian environmentalists," Bob Brown said in presenting the award to Jill in Melbourne this morning. Jill Redwood is a long-time environmental campaigner and the coordinator of Environment East Gippsland, the longest running community group working solely for the protection of Victoria's last and largest area of ancient forest and surrounding natural environment. For over three decades, Jill has been a campaign stalwart for the protection of East Gippsland forests and Australia’s native forests. Jill is on the committee of the Australian Forests and Climate Alliance and has been an integral campaigner against native forest biomass burning in Australia. September 15, 2015: Media Release - A new WWF report reveals an alarming decline in marine biodiversity over the last few decades. According to WWF’s Living Blue Planet Report, populations of marine vertebrates have declined by 49% between 1970 and 2012, with some fish species declining by almost 75%. In addition to fish, the report shows steep declines in coral reefs, mangroves and seagrasses that support marine food webs and provide valuable services to people. With over 25% of all marine species living in coral reefs and about 850 million people directly benefiting from their economic, social and cultural services, the loss of coral reefs would be a catastrophic extinction with dramatic consequences on communities. According to the report, the biggest drivers of these declining trends are from human actions--mainly overfishing, habitat destruction, and climate change. Although the report paints a dim picture of ocean health, it also provides solutions and opportunities to turn the tide. It highlights the need to protect critical marine habitats, manage fish stocks more sustainably, improve fishing practices, and redirect financial flows to support these needed initiatives. One immediate opportunity for international action happens later this month when world leaders meet in New York to discuss the UN’s Sustainable Development Goals. At the meeting, it’s essential that political leaders support the goals with significant investment and meaningful implementation plans to address the habitat destruction, illegal fishing, overharvest, and marine pollution driving the degradation of our oceans. The ban on mid-water trawling in the Small Pelagic Fishery (SPF) during the hours of darkness has been removed given that a trigger limit on dolphin mortalities is in place. That is, the management measure that if a single dolphin mortality occurs in any one of the seven SPF management zones, that respective zone will be closed for six months. This is in addition to other measures to reduce the risk of marine mammal interactions. This change will come into place on 17 September 2015. 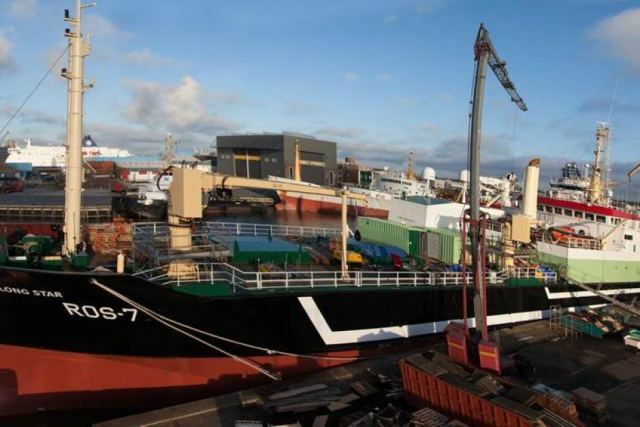 A ban on night time fishing for all mid-water trawl vessels in the SPF was implemented on 8 May 2015 through the Small Pelagic Fishery (Closures) Direction No.1 2015. The Direction was made in an emergency situation to stop the unacceptable rate of dolphin deaths after eight dolphins were killed during the first two trips of Geelong Star earlier this year. Since 8 May further scientific advice has become available and additional measures have been put in place to reduce marine mammal interactions. The workshop report, which was published in July 2015, can be found on FRDC’s website (PDF 686.90kb). Participants at the FRDC workshop included experts in the operations of the Small Pelagic Fishery, gear technologists, acousticians, scientists with expertise in marine mammals and in fisheries, and representatives from the Department of Agriculture, the Department of the Environment, the FRDC and AFMA. AFMA regularly reviews management arrangements in all of our Commonwealth fisheries in light of the latest scientific advice and other information which is what we did, and are doing, by considering the recommendations of this report. In addition to a low trigger level, safeguards implemented to minimise the risk of dolphin interactions by the Geelong Star include the barrier net, closures of high risk areas, and not discharging biological material when gear is in the water. AFMA will continue to monitor the vessel 24/7 using a GPS tracking system known as a Vessel Monitoring System. The requirement for all mid-water trawl vessels in the SPF to use electronic monitoring will also remain in place, along with an AFMA Observer onboard for the first 12 months and then onboard for at least 20 per cent of trips. The operator of the Geelong Star, Seafish Tasmania, is also taking additional measures to reduce the risk of marine mammal interactions such as implementing a range of safe setting and hauling procedures to minimise marine mammal interactions and underwater equipment that can detect dolphins near the vessel. Minimising the risk of marine mammal interactions during commercial fishing is, and will continue to be, a priority of AFMA in the regulation of all Commonwealth fisheries, including the Small Pelagic Fishery. AFMA took urgent action in response to the unacceptable rate of common dolphin mortalities on the Geelong Star’s first two trips and implemented the Small Pelagic Fishery (Closures) Direction No.1 2015. The strict trigger limit, whereby any dolphin death will result in the closure of the relevant zone for six months, remains in place. In ABC reporting (both broadcast and online) of 17 and 18 September 2015, it is implied that seals and dolphins caught by the Geelong Star are threatened species. This is not the case as suggested by comments from Professor Jessica Meeuwig (not Jennifer Meewuig as initially stated in online reporting). Under the Environment Protection and Biodiversity Conservation Act 1999 (EPBC Act), Australian fur seals and common dolphins (the specific species taken) are not listed as threatened species. The EPBC Act is the Australian Government’s central piece of environmental legislation to protect and manage nationally and internationally important flora, fauna, ecological communities and heritage places. ABC’s online article of 17 September 2015, Fisheries regulator AFMA ‘not sure’ it can stop factory trawler Geelong Star killing seals, dolphins, also incorrectly states the contents of email from an AFMA official, claiming he was, ‘not sure more seal or dolphin deaths could be could be avoided in future’. Dolphins were not referred to in this correspondence between AFMA officers obtained by the ABC on 15 September 2015. Top: The Geelong Star, formerly the Dutch flagged Dirk Diederik, in Victoria. Photo Supplied. Parliamentary Secretary to the Minister for Agriculture, Senator Richard Colbeck, today launched the Fisheries Research and Development Corporation's (FRDC) five-year Research, Development and Extension (RD&E) plan for Australia's fishing and aquaculture industries. Senator Colbeck said the 2015–2020 Strategic Plan represents an evolution in the way the FRDC invests in research, outlines a new focus based on three key national priorities, and empowers stakeholders. "The Plan aims to drive change to benefit Australia's fishing and aquaculture sectors more broadly. It will ensure these sectors continue to have excellent performance in environmental sustainability as well as business productivity and profitability," Senator Colbeck said. "The Plan also focusses on recreational fishers and Indigenous fishers, who derive benefit from fishing activities. Fishing and aquaculture are vital for many rural and regional communities and underpin jobs and livelihoods throughout Australia, it is important that these sectors are appropriately supported. "It sets out solid targets including increasing the sector’s value from $2.4 billion to $3.2 billion by 2020, while at the same time improving community satisfaction with the industry. "Another key target is building Australia's aquaculture industry and the plan aims to provide the necessary knowledge to underpin the development of new aquaculture species and increase production of those species. "This plan also recognises the significant capability in leadership for a large number of our sectors and leaders will be empowered to take the lead in prioritising research for their sectors. Senator Colbeck said Australia's fisheries are among the best managed in the world, largely as a result of a commitment to investing in good science and applying the outcomes to our fisheries management. "It's important that we continue investing in R&D to ensure we remain world-leading fisheries managers. This FRDC RD&E plan puts the industry on a strong footing for the future," he said. The WWF’s Living Blue Planet report is the latest anti-fishing industry propaganda that more resembles a marketing pamphlet than a serious fisheries report, it’s part of a string of misleading campaigns aimed at scaring people into making donations rather than educating the public. Senator Colbeck, Parliamentary Secretary to the Minister for Agriculture, said the WWF’s latest report is extremely misleading and more about their business model than genuine concern for the sustainability of our marine environment. “This comes after a false campaign earlier this year which incorrectly claimed that 90 per cent of global fish stocks are overfished. That claim is a complete misuse of the data and actually includes fisheries that are operating at a sustainable level,” he said. “In fact, research by the Food and Agriculture Organisation of the United Nations shows that 60 per cent of the world’s fish stocks are fully exploited (sustainably fished) and about 10 per cent are underexploited. “The hypocrisy doesn’t end there - in 2012 the WWF called for all trawling to be banned in Australia, in complete contradiction to the fact they have backed trawl fisheries such as the Northern Prawn Fishery and the Spencer Gulf Fishery which have MSC certification, as well as the recently certified winter blue grenadier fishery which utilises freezer trawlers. “The community look to WWF for guidance and it is frustrating to see them abuse that power by providing glossy marketing material in the guise of research." Senator Colbeck said the report is misleading and fails to share the numerous success stories of our fisheries. “The recent ABARES Fishery status reports show no solely Commonwealth managed fisheries are subject to overfishing. This is a significant milestone which we should be proud of – it shows our fisheries are exceptionally well managed,” he said. “The sustainable management of our fisheries has produced some excellent results over recent years, including the re-building of eastern orange roughy stocks to a healthy level which enabled commercial fishing for the first time in ten years. "Australia’s fisheries are managed based on the best available science and are sustainably managed – because of this we are internationally regarded among the best fisheries managers in the world. September 9, 2015 - Stocks of wild fish cannot be protected from overfishing in the long term by the expansion of aquaculture alone. Economic driving forces such as increasing global demand for fish or improved fishing methods will lead in future to increased fishery pressure on the most popular types of edible fish. Ocean researchers from Kiel and Finland come to this conclusion in a current study, which will be published online yesterday (September 8th) in the journal Global Change Biology. Economists, fisheries and evolutionary biologists from Kiel University, the GEOMAR Helmholtz Centre for Ocean Research Kiel, and the Finnish University of Helsinki working together in an interdisciplinary project have calculated how fishery and aquaculture will develop in the coming decades in regard to popular types of edible fish such as sea bass, salmon, cod and tuna. These four are among the most important fish species on the North American and European markets. Salmon and sea bass come mostly from fish farming, while cod and tuna stem from wild-capture fisheries. The focus of the study was the question of how wild fish stocks will develop up to the year 2048 and beyond. The authors take into account here not only biological influencing factors but also especially how future economic developments will affect fisheries. The researchers simulated particularly technical progress in fisheries, increasing global demand for fish and a growing supply of fish from aquaculture. In addition the study examined the interrelation of these factors in various scenarios with limited effectiveness of regulation on wild fisheries. "A realistic projection of the future development of economically important wild fish populations can only be reached if, in addition to biological factors we also take into account economic driving forces. The result surprised us, as the economic development had a much stronger influence on the fish stocks than we had expected," says first author Prof. Martin Quaas from the Institute of Economics at Kiel University and head of the research group "Sustainable Fisheries" in the Cluster of Excellence "The Future Ocean." Increasing aquaculture production can relieve wild fish stocks; however this positive effect will probably be overwhelmed by a greater demand and technological progress in the fishing industry -- both increasing the fishing pressure on wild stocks. Under present conditions aquaculture production would have to increase by 15 to 24 percent in order to sustain stocks -- an unrealistically high amount from the point of view of the researchers. Added to that is the problem that fish from aquaculture is often fed with fish from wild capture. "Even if we were to set very optimistic rates and raise the amount of vegetable protein in the feed, the pressure on fisheries and fish stocks would increase enormously and likely cause their collapse," says co-author Thorsten Reusch from GEOMAR Helmholtz Centre for Ocean Research Kiel. Sustainable use of wild fish stocks could however be achieved by means of a considerable increase in the effectiveness of fisheries management, far above today's standard. In order to prevent the collapse of the fish stocks the researchers therefore see the only solution as institutional change, which considerably improves the effectiveness of fisheries management for wild fish species. The researchers consider the most recent reforms of the fisheries policy of the European Union a step in the right direction. In the course of the reforms agreed upon in 2013, for example, multiple-year management plans should be introduced for further stocks. In addition strict landing obligations shall be introduced. The researchers see particular need for action for high seas fisheries, including a significantly improved international coordination in determining and enforcing restrictive catch quotas. September 16, 2015 - Understanding how genetic diversity occurs within species is paramount for conservation, according to University of Queensland scientists. The new research by UQ biologists has identified regions of high and low multi-species genetic diversity in Australia's marine waters. Lead author and Honorary Research Fellow with UQ's School of Biological Sciences, Lisa Pope said the varying genetic diversity had implications for both marine conservation and broader understanding of how species form. "Higher genetic diversity offers a greater chance of adapting to climate change, and so regions of high diversity could be included in the decision process for designating marine reserves," she said. "Understanding patterns of diversity within species can also help us understand species formation." According to Dr Pope, species diversity followed a strong geographic pattern, with more species found at the equator, decreasing towards the poles, but little was known about patterns within species. The researchers gathered existing data on the genetic diversity of populations from a broad range of marine species around Australia, generating a database that can be used by all researchers. "It was amazing to realize how much data already existed to start taking a look at patterns of marine genetic diversity," Dr Pope said. "Australian scientists have achieved a lot since the 1980s when genotyping really started for wild species. "By publishing in an open access journal, and including the database, we really hope this will be a useful resource for other scientists to add to, or take in different directions." With this information they examined the genetic diversity of more than 1000 populations from more than 100 species in marine regions around Australia. Using a statistical analysis method, that took into account factors such as the relationships among species and the size of the sample, they determined that region and latitude explained a large amount of the variation in genetic diversity of populations at this broad geographic scale. "We found some interesting patterns. For example, Joseph Bonaparte Gulf, straddling the Northern Territory and Western Australian borders, showed unusually high genetic diversity, but contains few reserves," Dr Pope said. "It would be great to add this information into the decision process for prioritising the formation of new reserves. "Our climate is changing at an unprecedented rate, with oceanic warming and acidification. We need to tackle this problem from many angles, and factoring in genetic diversity could help species adapt more readily to this change." Dr Pope said her work was undertaken on a part-time Women's Fellowship offered by UQ. Her co-researchers are Dr Cynthia Riginos, Associate Professor Jennifer Ovenden, Jude Keyse and Dr Simon Blomberg in the Schools of Biological Sciences and Biomedical Sciences. Dr Pope is currently working for the Institute for Social Science Research. The findings are published in PLoS ONE. Did you know that Pittwater Council’s Coastal Environment Centre has its own facebook page? It’s a great way to keep up to date with environmental news and events happening in the area. Whether it’s a rock platform walk, the Kids on the Coast holiday program or environmental videos by local schools – there’s something for everyone. Habitat Stepping Stones project now in Pittwater! Our local wildlife are doing it tough! You can create a habitat stepping stone to help them out. It’s easy – just add a few beautiful habitat elements to your backyard or balcony to create a valuable wildlife-friendly stopover. 1. Discover: Visit the website below to find dozens of beautiful plants, nest boxes and water elements you can add to your backyard or balcony to help our local wildlife. 2. Pledge: Select three or more elements to add to your place. You can even show you care by choosing to have a bird appear on our online map. 3. Share: Join the Habitat Stepping Stones Facebook community to find out what’s happening in the natural world, and share your pics, tips and stories. Get the kids involved and excited about helping out! Just write to the address below and they’ll mail you everything you need. This project is assisted by the NSW Government through its Environmental Trust and supported by Pittwater Council. Katandra opens to the public every Sunday in July, August, September and October, from 10am to 4pm. The first will be Sunday July 5th with entry by donation. September 16, 2015 - Research has found evidence that spending time in nature provides protections against a startling range of diseases, including depression, diabetes, obesity, ADHD, cardiovascular disease, cancer, and many more. How this exposure to green space leads to better health has remained a mystery. After reviewing hundreds of studies examining nature's effects on health, University of Illinois environment and behavior researcher Ming Kuo believes the answer lies in nature's ability to enhance the functioning of the body's immune system. "I pulled every bit of the research in this area together that I could find, and was surprised to realize I could trace as many as 21 possible pathways between nature and good health--and even more surprised to realize that all but two of the pathways shared a single common denominator," Kuo said. She said it was remarkable to see how important a role the immune system plays in every one of the diseases that nature protects against. "The realization that there are so many pathways helps explain not only how nature promotes health, but also why nature has such huge, broad effects on health," she said. "Nature doesn't just have one or two active ingredients. It's more like a multivitamin that provides us with all sorts of the nutrients we need. That's how nature can protect us from all these different kinds of diseases--cardiovascular, respiratory, mental health, musculoskeletal, etc. -- simultaneously." One way to understand this relationship between nature, health, and the immune system, Kuo explains, is that exposure to nature switches the body into "rest and digest" mode, which is the opposite of the "fight or flight" mode. When the body is in "fight or flight" mode, it shuts down everything that is immediately nonessential, including the immune system. "When we feel completely safe, our body devotes resources to long-term investments that lead to good health outcomes--growing, reproducing, and building the immune system," Kuo said. "When we are in nature in that relaxed state, and our body knows that it's safe, it invests resources toward the immune system." For those who prefer playing a board game or visiting an art gallery to taking a walk in the park, Kuo says some of the same restorative benefits can be obtained. "if you are absorbed and relaxed, chances are your parasympathetic system is happy and your immune system is going to get a boost. That said, these enjoyable indoor activities don't provide the phytoncides, mycobacterium vaccae, negative air ions, vitamin D-producing sunlight, and other active ingredients found outdoors. So we'd expect a smaller boost than you'd get from being in nature." Kuo is the director of the Landscape and Human Health Laboratory at the U of I and has conducted numerous studies of her own linking green space and health. Kuo hopes her exhaustive compilation of studies will provide a map for what researchers in this field might study next. "Finding that the immune system is a primary pathway provides an answer to the question of 'how' nature and the body work in concert to fight disease," Kuo said. "How might contact with nature promote human health? Exploring promising mechanisms and a possible central pathway" is published in Frontiers in Psychology and available online. Ming Kuo. How might contact with nature promote human health? Promising mechanisms and a possible central pathway. Frontiers in Psychology, 2015; 6 DOI:10.3389/fpsyg.2015.01093Ming Kuo. September 14, 2015 - Melbourne summer temperatures have been steadily climbing over the past 25 years, but even more so during the two weeks of the Australian Open in late January, new data analysis reveals. The average afternoon temperature in January has risen by 0.8 degrees Celsius per decade since 1987. But in the two weeks of the Australian Open -- usually held in mid-late January -- temperatures have increased by 1.25 degrees per decade. Ben Hague, a third-year Atmosphere and Ocean Sciences student at the University of Melbourne, said extreme summer temperatures have also become more prevalent, like those experienced during the 2014 Australian Open. Players, officials and spectators were forced to endure four straight days of temperatures over 41 degrees that year. It is what motivated Mr Hague to analyse HtempMelbourne's weather data in detail. "This was a particularly extreme event," Mr Hague said. "But the point of this study was to measure whether these events are happening more often." "And the results suggest that they are." Mr Hague found both hot days and measures of heat stress increased significantly over the whole summer, but mainly in January -- and particularly, mid-late January. The number of half-hourly observations where a temperature of 35 degrees or more was recorded in January has more than doubled. The data also suggests high summer temperatures are starting earlier. The study focuses on temperature and humidity trends since 1987, which was when the Australian Open became a mid-to-late January event. Mr Hague used temperature data from the Bureau of Meteorology, but also "wet bulb globe temperature" (WBGT) figures which take humidity, wind and sunlight into consideration. The data suggests a decrease in relative humidity since 1987, but Mr Hague said it wasn't enough to counter an overall climb in the WBGT. While the study doesn't make any future weather projections, the figures don't bode well for Australian Open organisers, who've previously come under fire over heatwave conditions in Melbourne. The city is set to play host to the event until at least 2036. Other research has consistently pointed towards ever-climbing summer temperatures. While the main focus of the study was on the 27 years since the Australian Open moved to mid-late January, Mr Hague also investigated more than 100 years of Melbourne summers. The results reflect an overall increase of both maximum and minimum temperatures during the season. He found that since 1911, average daily maximum temperatures throughout all of summer increased by two degrees -- with 1.8 degrees of this warming having occurred since 1990. Hotter days are also getting hotter, with the data showing a five degree increase in the average temperature of Melbourne's hottest December day since 1989. The above is reprinted from materials provided by the University of Melbourne. September 16, 2015 - According to a NASA analysis of satellite data, the 2015 Arctic sea ice minimum extent is the fourth lowest on record since observations from space began. The analysis by NASA and the NASA-supported National Snow and Ice Data Center (NSIDC) at the University of Colorado at Boulder showed the annual minimum extent was 1.70 million square miles (4.41 million square kilometers) on Sept. 11. This year's minimum is 699,000 square miles (1.81 million square kilometers) lower than the 1981-2010 average. Arctic sea ice cover, made of frozen seawater that floats on top of the ocean, helps regulate the planet's temperature by reflecting solar energy back to space. The sea ice cap grows and shrinks cyclically with the seasons. Its minimum summertime extent, which occurs at the end of the melt season, has been decreasing since the late 1970s in response to warming temperatures. In some recent years, low sea-ice minimum extent has been at least in part exacerbated by meteorological factors, but that was not the case this year. "This year is the fourth lowest, and yet we haven't seen any major weather event or persistent weather pattern in the Arctic this summer that helped push the extent lower as often happens," said Walt Meier, a sea ice scientist with NASA's Goddard Space Flight Center in Greenbelt, Maryland. "It was a bit warmer in some areas than last year, but it was cooler in other places, too." In contrast, the lowest year on record, 2012, saw a powerful August cyclone that fractured the ice cover, accelerating its decline. The sea ice decline has accelerated since 1996. The 10 lowest minimum extents in the satellite record have occurred in the last 11 years. The 2014 minimum was 1.94 million square miles (5.03 million square kilometers), the seventh lowest on record. Although the 2015 minimum appears to have been reached, there is a chance that changing winds or late-season melt could reduce the Arctic extent even further in the next few days. 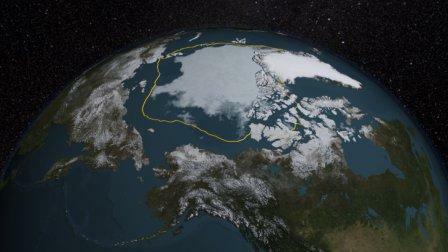 "The ice cover becomes less and less resilient, and it doesn't take as much to melt it as it used to," Meier said. "The sea ice cap, which used to be a solid sheet of ice, now is fragmented into smaller floes that are more exposed to warm ocean waters. In the past, Arctic sea ice was like a fortress. The ocean could only attack it from the sides. Now it's like the invaders have tunneled in from underneath and the ice pack melts from within." Some analyses have hinted the Arctic's multiyear sea ice, the oldest and thickest ice that survives the summer melt season, appeared to have recuperated partially after the 2012 record low. But according to Joey Comiso, a sea ice scientist at Goddard, the recovery flattened last winter and will likely reverse after this melt season. "The thicker ice will likely continue to decline," Comiso said. "There might be some recoveries during some years, especially when the winter is unusually cold, but it is expected to go down again because the surface temperature in the region continues to increase." This year, the Arctic sea ice cover experienced relatively slow rates of melt in June, which is the month the Arctic receives the most solar energy. However, the rate of ice loss picked up during July, when the sun is still strong. Faster than normal ice loss rates continued through August, a transition month when ice loss typically begins to slow. A big "hole" appeared in August in the ice pack in the Beaufort and Chukchi seas, north of Alaska, when thinner seasonal ice surrounded by thicker, older ice melted. The huge opening allowed for the ocean to absorb more solar energy, accelerating the melt. It's unclear whether this year's strong El Niño event, which is a naturally occurring phenomenon that typically occurs every two to seven years where the surface water of the eastern equatorial Pacific Ocean warms, has had any impact on the Arctic sea ice minimum extent. "Historically, the Arctic had a thicker, more rigid sea ice that covered more of the Arctic basin, so it was difficult to tell whether El Niño had any effect on it," said Richard Cullather, a climate modeler at Goddard. "Although we haven't been able to detect a strong El Niño impact on Arctic sea ice yet, now that the ice is thinner and more mobile, we should begin to see a larger response to atmospheric events from lower latitudes." In comparison, research has found a strong link between El Niño and the behavior of the sea ice cover around Antarctica. El Niño causes higher sea level pressure, warmer air temperature and warmer sea surface temperature in west Antarctica that affect sea ice distribution. This could explain why this year the growth of the Antarctic sea ice cover, which currently is headed toward its yearly maximum extent and was at much higher than normal levels throughout much of the first half of 2015, dipped below normal levels in mid-August. Starting next week, NASA's Operation IceBridge, an airborne survey of polar ice, will be carrying science flights over sea ice in the Arctic, to help validate satellite readings and provide insight into the impact of the summer melt season on land and sea ice. The above is reprinted from materials provided by NASA/Goddard Space Flight Center. NSW is blessed with incredible wildlife and iconic natural beauty. Nature and the great outdoors are part of what defines us as Australians and yet almost 1000 plants and animal species are threatened with extinction across our great state. The re-write of our biodiversity laws is an important opportunity to take action to halt biodiversity decline and restore nature for future generations. Sign the Pledge for Nature: Add your name to the pledge for nature and show your support for strong conservation laws in NSW. We have identified 10 essential components of a new Biodiversity Conservation Act that will restore and enhance our precious living world and deliver a New Deal for Nature. It’s a simple question: how many trees are there on Earth? The answer required 421,529 measurements from fifty countries on six continents. Now this new data has been combined to produce a stunning visualisation of our planet as you’ve never seen it before. September 14, 2015 - The globe's forests have shrunk by three per cent since 1990 -- an area equivalent to the size of South Africa -- despite significant improvements in conservation over the past decade. The UN's Global Forest Resources Assessment (GFRA) 2015 was released this week, revealing that while the pace of forest loss has slowed, the damage over the past 25 years has been considerable. 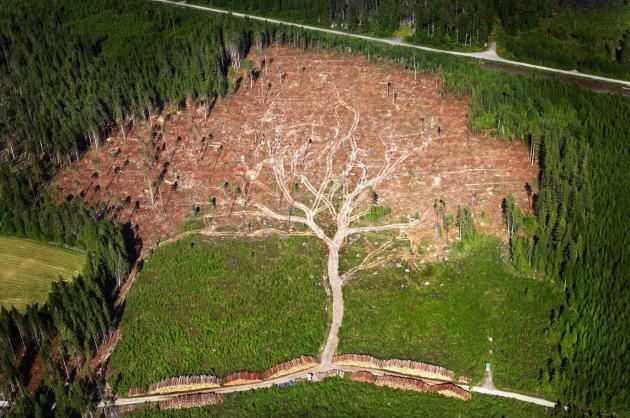 Total forest area has declined by three per cent between 1990 and 2015 from 4,128 million hectares to 3,999 million hectares -- a loss of 129 million hectares. Significantly, loss of natural forested area was double the global total at six per cent, while tropical forests took the hardest hit with a loss rate of ten per cent. Forestry expert at the University of Melbourne Professor Rod Keenan has been involved with the GFRA since 2003. For the 2015 Assessment, he headed a team of academics analysing the GFRA data for the UN's Food and Agriculture Organisation. "These are not good stats," Professor Keenan said of the latest report. "We really need to be increasing forest area across all domains to provide for the forest benefits and services of a growing population. So there is more work to do." Agricultural land development, by large and small scale producers, is believed to be the main driver behind the decreases, with Brazil, Indonesia and Nigeria recording the biggest losses over the past five years. But there have also been positive signs. While the annual rate of net forest loss in the 1990s stood at 7.3 million hectares, it has since halved to 3.3 million hectares between 2010 and 2015. "Halving the loss is a good thing, but we need continued policy focus to ensure the trend can be sustained," Professor Keenan said. He believes this should include regulations to stop forest conversion, funding for better forest management and incentives to increase forest area. Brazil and Indonesia, both among the highest deforestation offenders, have significantly improved their ways -- with Brazil's current net loss rate 40 per cent lower than in the 1990s. Indonesia is also losing forested area at a rate two-thirds slower than it did between 1990 and 2000. Professor Keenan said the study showed forest is being more rapidly lost in some of the poorest countries, including India, Vietnam and Ghana. "In low-income countries with high forest cover, forests are being cleared for direct subsistence by individuals and families and large scale agriculture for broader economic development," he said. "Some have policies and regulations to protect forests, but they do not have the capacity and resources to implement them." In Australia, conservation efforts are beginning to have an impact. Australia recorded a net gain of 1.5 million hectares of forested land over the past five years, despite an overall fall from 128.5 million hectares in 1990 to 124.7 million hectares in 2015. Much of that is attributed to natural events, such as fire and drought, as well as human land clearance for agriculture. The above is reprinted from materials provided by University of Melbourne. September 14, 2015 - An international study led by a University of Queensland researcher has revealed more than half the world's sea turtles have ingested plastic or other human rubbish. 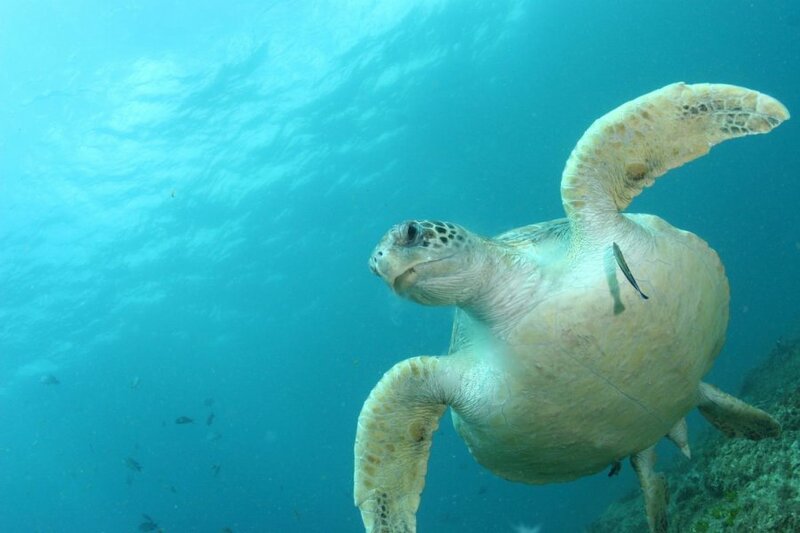 The study, led by Dr Qamar Schuyler from UQ's School of Biological Sciences, found the east coasts of Australia and North America, Southeast Asia, southern Africa, and Hawaii were particularly dangerous for turtles due to a combination of debris loads and high species diversity. "The results indicate that approximately 52 per cent of turtles world-wide have eaten debris," Dr Schuyler said. Plastic ingestion can kill turtles by blocking the gut or piercing the gut wall, and can cause other problems through the release of toxic chemicals into the animals' tissues. "Australia and North America are lucky to host a number of turtle species, but we also therefore have a responsibility to look after our endangered wildlife," Dr Schuyler said. "One way to do that is to reduce the amount of debris entering the oceans via our rivers and coastlines." Olive ridley turtles commonly eat jellyfish and other floating animals, and often feed in the open ocean, where debris accumulates..
"We now know that both sea turtles and seabirds are experiencing very high levels of debris ingestion, and that the issue is growing," Dr Wilcox said. "It is only a matter of time before we see the same problems in other species, and even in the fish we eat." The United Nations Environment Programme (UNEP) in cooperation with the Open University of the Netherlands, will soon launch a Massive Open Online Course (MOOC) on Marine Litter. The MOOC has been created in order to stimulate leadership and offers opportunities for actionable and change oriented learning related to marine litter within the framework of the Global Partnership on Marine Litter. The MOOC will enhance capacity of students through action oriented learning on how they can apply successful and inspiring activities to combat marine pollution. It will be offered through a series of lectures, case studies and videos, along with additional study materials. Expert Track: 32 additional hours and a final assignment for professionals and students who want to acquire more in-depth knowledge, insights and skills relating to prevention of marine litter. Providers: UNEP, Global Partnership on Marine Litter (GPML), Global Programme of Action for the Protection of the Marine Environment from Land-based Activities (GPA); and Open University. Course dates: 14 October – 22 December 2015. • Skills to develop an action plan to reduce marine litter pollution. First MOOC focusing on marine litter; Case studies from around the world; Expert faculty and distinguished visiting lecturers; Courses taught at a BSc level; Open to all without restrictions; FREE of charge. Marine litter is a global problem that affects every ocean of the world. Litter is an environmental, human health and socio-economic problem that is a symptom of a highly disposable society. With worldwide growth in the amount of solid litter thrown away every day and slow rates of degradation, the amount of litter present in the marine environment is increasing. This course seeks to inspire students to take action and leadership in the arena of marine litter through stimulating interaction with all stakeholder groups. The MOOC on marine litter teaches students through action oriented learning how they can apply successful and inspiring activities to their own local context, regardless of their profession or location. The course presents different options and tools to combat marine pollution such as the use of effective and legitimate tools like the Honolulu Strategy. The course provides examples and case studies that will inspire leadership at all levels, thereby increasing awareness of and stimulating creative solutions to marine litter problems. Moreover, this course will benefit policymakers, practitioners, and managers who wish to connect with other professionals in order to enhance their knowledge of marine litter issues. The MOOC is available in two tracks: a leadership track and an expert track. It will start in October 2015 with the Leadership Track taking place over a course of 2 weeks. Those students who wish to remain in the course will continue to the Expert Track, which will be completed by mid-December 2015 (total of 8 weeks). A certificate of participation can be obtained by students after their completion of both the Leadership Track and the Expert Track. Students will also receive free access to all course materials on a 24 hour online platform. Interested in knowing more about the MOOC before enrolling? Leave your E-mail address here and we will send more information via E-Mail. Environment Minister Mark Speakman today announced a new online citizen science initiative which encourages people to sort through more than 280,000 ‘wildlife selfies’ taken in NSW national parks. Mr Speakman said 200 motion-sensitive cameras have captured more than 280,000 images of wildlife this year across 146 NSW national parks and reserves, as part of the WildCount initiative. The next stage of this year’s project is to sort through these photos and collate the wildlife imagery for the scientists to review for trends and changes in native wildlife behaviour. “It is such a massive task and we are asking the public for assistance in sorting and collating these images to speed up the process,” Mr Speakman said. Some of the weird and wonderful animal interactions snapped over the years include two wallabies hugging, a willie wag-tail perched on the back of a kangaroo and a lyrebird attacking a black snake. The public can register to join the WildCount Expedition on the DigiVol website: digivol.org. Financial Markets Foundation for Children donation to establish new Chair of Translational Childhood Medicine: Generous $5 million gift to fast-track child health research and oversee an Australian-first study of 10,000 couples and their children. Paul Robertson and Glenn Stevens from the Financial Markets Foundation for Children announce a $5 million gift to the University of Sydney for a new chair of translational childhood medicine. Pictured with Chancellor Belinda Hutchinson AM, Professor Bruce Robinson, Dean of Sydney Medical School, and Professor Stephen Simpson, Academic Director of the Charles Perkins Centre. Landmark research on child health will be fast-tracked into real-world solutions thanks to a $5 million gift to the University of Sydney’s Charles Perkins Centre from the Financial Markets Foundation for Children. The Financial Markets Foundation for Children Chair of Translational Childhood Medicine will accelerate the pace at which discoveries become solutions, and will work across the University and its affiliated hospitals to transform research into new treatments and therapies, innovative devices, better practices and new lifestyle choices. “We are delighted that the financial markets community has given its support to this pioneering research. The outstanding leadership and generosity demonstrated by the Financial Markets Foundation for Children will have a transformative effect on research into the factors impacting children’s health” said Belinda Hutchinson AM, Chancellor of the University of Sydney. The Chair will also oversee an Australian-first study of 10,000 couples and their children, which will show in unprecedented detail how biology interacts with environment and lifestyle to affect a child’s health. The study will chart the profound influence on a child’s health of the health of their parents, their environment in-utero, and their environment in the first years of life. “We know that health in early life and pre-conception has an enormous influence on health in later life, to the extent that a woman’s health before pregnancy could affect not only her future child, but also the health of her future grandchild,” said Professor Stephen Simpson, Academic Director of the Charles Perkins Centre at the University of Sydney. One in four Australian children aged five to 17 is overweight or obese, and in young children there has been a sharp rise in the incidence of diabetes, cardiovascular disease risk factors, and numerous other disorders. The new position, which will also work with the Children’s Hospital Westmead, responds to an increasing body of evidence pointing to the correlation between declining child health and the rising prevalence of obesity, the increased consumption of nutritionally poor foods, and the decline in physical activity of parents. “The Financial Markets Foundation for Children Chair of Translational Childhood Medicine is an investment in the future of millions of Australians,” said Professor Bruce Robinson, Dean of Sydney Medical School. Join us this week in an attempt to break Trove! The National Library has been working on a major redevelopment of Trove, called Trove 7. It's an upgrade to our search indexes, a redesign of our newspapers zone and something completely new. We are getting close to launch date but we haven't been able to properly test how far the new system can be stretched, that's why we are asking for your help to do a stress test on Trove 7 before the final release. The stress test involves opening up the test system for our re-developed newspapers zone to YOU, the user, for whatever you wish to see or whichever function you wish to explore. Determine weak points in the system, capture some useful data and measure safe usage limits. We want to see what breaks first! Open tabs, click on links, edit text and search for anything. Play around on the Trove 7 website and see what we have in store for you on release date. All we ask is that whatever you do, do a lot of it. If the system breaks, we will know where, why and how so we can avoid it happening in the future. I’m in. Where and when? From 12pm-1pm, Wednesday, 23 September. You will need to follow the link below which will take you to the Trove 7 test environment, once there you can do what you normally do when in Trove, we just ask that you do it a lot. We will be monitoring the @TroveAustralia twitter account across the hour and we will set up a thread in the 'Trove General' forum for questions and consulting with other users. We advise following the @TroveAustralia twitter account for live updates. Remember we can only respond to so many enquiries so we won?t be answering design questions, just assisting in helping you find your way. Is it safe? Will Trove go down? The stress test will be conducted on completely separate servers to the those currently running Trove, so there is no danger of affecting the Trove 6.6.4 live service. If you don?t want to test out our new system you can continue to do your thing on our live service, which will be available as usual. Will I get to see this "something new"? Not at this time, that's a surprise for release date, although there may be one or two shadows in the system? 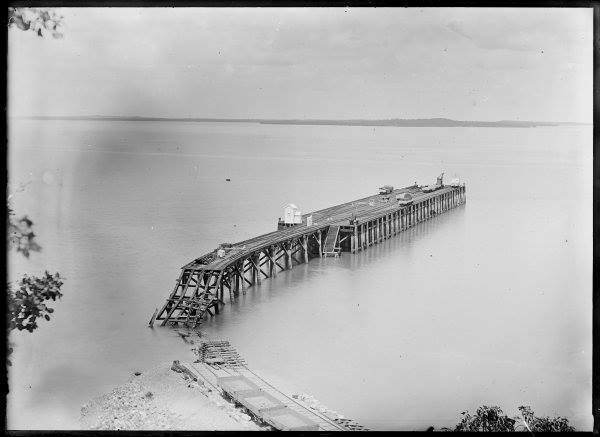 As this is a separate test system any work that you complete on Trove will not be migrated across to Trove 7. If you want to test out the text correction function we would love you to do so, but your edits won't be there next time you use the system. You can use any web capable device to access Trove 7, however, we suggest installing the latest version of your favourite browser to ensure you have the best experience. Some (much, much older) browsers will not be supported. September 14, 2015 - The Southwest Pacific ocean and the strong currents that travel through it play a major role in the world's climate. Running since 2008, the SPICE research program has allowed a great many in situ observations to be collected which were previously lacking. In parallel, scientists from around fifteen international laboratories have developed high-resolution digital models. This work has led to significant advances in our understanding of the dynamics of this ocean and its influence on the climate. Researchers are publishing an initial summary of the work in the Journal of Geophysical Research. 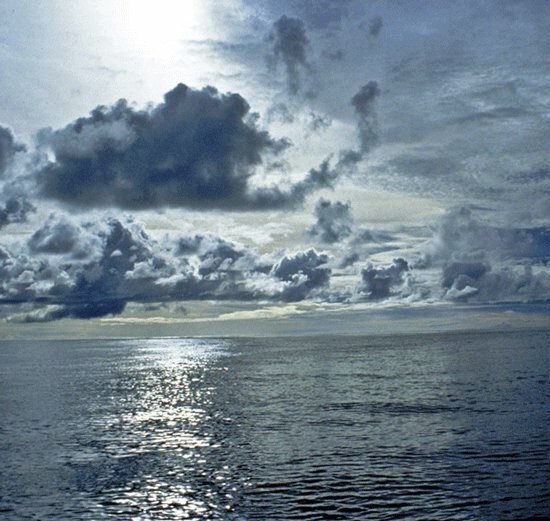 Despite playing a determining role on both the region's climate and the planet, the Southwest Pacific ocean had barely been explored. It is only recently, under the aegis of the SPICE (Southwest Pacific Circulation and Climate Experiment) research program led by IRD researchers, that the truth behind its currents has been partially uncovered. Scientists from France, America, Australia, New Zealand and Pacific Island countries have just published a new description of this ocean's circulation and variability. For seven years, significant scientific resources have been dedicated to collecting a large number of in situ observations. From 2008, a series of sea expeditions, underwater gliders and moored current meters made it possible to continuously monitor essential variables like the water's temperature and salinity, the direction and speed of the currents, etc. The oceanographers then combined their measurements and analyses in very high-resolution digital simulations to better characterise the regional circulation in this still largely undocumented strong-current area. Through an original ocean course, the Southwest Pacific feeds into the equatorial waters. In fact, the South Pacific's subtropical gyre generates an east-to-west current from Polynesia, circulating at a depth of 100 to 200 metres beneath the surface. When it meets numerous natural obstacles that form New Caledonia, Vanuatu, Fiji and their strings of islands, this South Equatorial Current divides up into different jets which travel the Coral Sea before reaching the Australian coast. The waters then fork. One branch feeds the Tasman Sea more to the south, between Australia and New Zealand, while the other moves northward, along the Great Barrier Reef, rejoining Papua New Guinea then the equatorial zone. The physical and chemical properties and movements of the ocean water masses have a huge influence on the climate. Representing an area for the transit and modification of the waters of the subtropical gyre before they reach the equator, the Southwest Pacific plays a fundamental role in the dynamics of El Niño type phenomena and biological production in the equatorial zone. The changing currents in this ocean, and their variability, both in intensity and temperature, are therefore of prime importance for a better understanding of both the processes that trigger and the scale of El Niño events and the consequences on oceanic productivity. The SPICE program has therefore led to significant advances in our understanding of ocean dynamics in the Southwest Pacific. The instruments deployed in this region of the world continue to monitor the ocean dynamics, under the aegis of the CLIVAR (climate variability and prediction) program. September 14, 2015 - Scientists have discovered the world's longest known chain of continental volcanoes, running 2,000 kilometres across Australia, from the Whitsundays in North Queensland to near Melbourne in central Victoria. The volcanic chain was created over the past 33 million years, as Australia moved northwards over a hotspot in Earth's mantle, said leader of the research Dr Rhodri Davies from The Australian National University (ANU). The study, published in Nature, found that sections of the track have no volcanic activity because the Australian continent is too thick to allow the hot rock in mantle plumes to rise close enough to Earth's surface for it to melt and form magma. 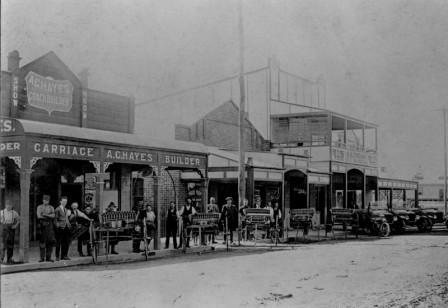 Take a stroll through Main Street - our new digital experience that lets you explore the main streets of Sydney and The Tweed region in NSW using historic photos from 1880s to 1950s. This project is the result of a collaboration between the State Library’s DX Lab and the Tweed Regional Museum. Food Standards Australia New Zealand (FSANZ) today called for submissions on an Application to permit a corn line that is genetically modified to have a higher yield. FSANZ Chief Executive Officer Steve McCutcheon said the GM corn line had been modified to have larger kernels at an early reproductive stage, which leads to increased yield at harvest. “FSANZ conducted a thorough safety assessment on the application, which included comparing the GM corn with a non-GM corn from a molecular, toxicological and nutritional point of view,” Mr McCutcheon said. Submissions are invited from government agencies, public health professionals, industry and the community. All FSANZ decisions on standards are notified to ministers responsible for food regulation. The ministers can decide to adopt, amend, or reject standards or they can ask for a review. The period for comment closes on 28 October 2015. An innovative new website that compares quality indicators for learning and teaching at Australian higher education institutions was launched today. The Quality Indicators for Learning and Teaching — or QILT — website helps students and their families make informed choices about their higher education options by bringing together survey data from all Australian universities about students’ experiences and graduate job outcomes. The easy-to-use website allows students to compare institutions and study areas based on the results of thousands of surveys completed by current students and graduates. The surveys are based on a range of information, such as the satisfaction of face-to-face discussions, access to computers, graduate salaries, and employment outcomes. • the median salary received by recent graduates. Future releases on the QILT website, developed by the Social Research Centre, will include surveys that cover the student journey right through to employment. You can visit the website at www.qilt.edu.au. September 15, 2015 - An accidental find of a collection of young red dwarf stars close to our solar system could give us a rare glimpse of slow-motion planet formation. 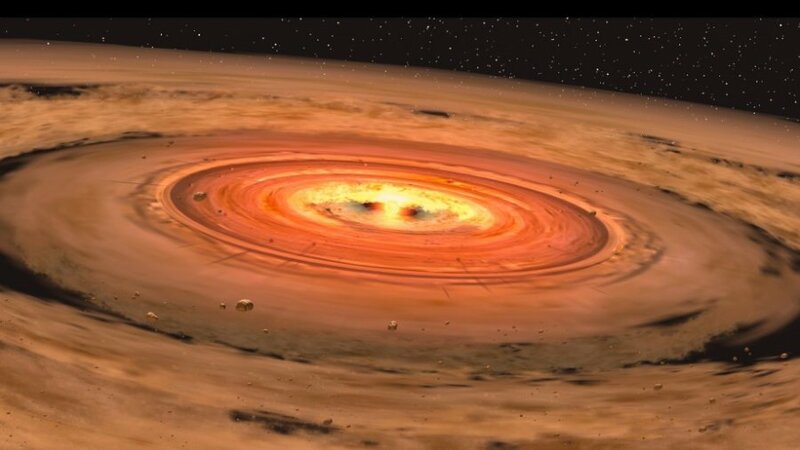 Astronomers from The Australian National University (ANU) and UNSW Canberra found large discs of dust around two of the stars, tell-tale signs of planets in the process of forming. "We think the Earth and all the other planets formed from discs like these so it is fascinating to see a potential new solar system evolving," said the lead researcher Dr Simon Murphy, from the ANU Research School of Astronomy and Astrophysics. "However, other stars of this age usually don't have discs any more. The red dwarf discs seem to live longer than those of hotter stars like the Sun. We don't understand why," said Dr Murphy. The red dwarves may also host planets that have already formed from the dusty discs, Dr Murphy said. "I think a lot of telescopes will be turned toward them in the next few years to look for planets." The giveaway that the red dwarves had discs around them was an unusual glow in the infrared spectrum of the stars. Although the discs were not observed directly, Dr Murphy said such close red dwarves offered a good chance of catching a rare direct glimpse of a disc, or even a planet, by employing specialised telescopes. "Because they are fainter than other stars and there is not as much glare, young red dwarves are ideal places to directly pick out recently formed planets," he said. Our ability to detect these dim stars has improved dramatically in recent decades, revealing a wealth of information, said Professor Lawson. "Less than 20 years ago, the notion that the nearest part of the Galaxy would be littered with young stars was a completely novel one," he said. "Most of these objects lie in the southern sky and thus are best accessed by telescopes in the southern hemisphere, including those operated by the ANU and Australia more broadly."